Watch the movie on the right. Learn how to create your own apps at http://touchdevelop.com/hoc. TouchDevelop is a programming environment that runs on your mobile devices. You write scripts by tapping on the screen. You do not need a separate PC or keyboard. Scripts can perform various tasks similar to regular apps. Any TouchDevelop user can install, run, edit, and publish scripts. You can share your scripts with other people by publishing them to the TouchDevelop script bazaar, or by submitting them as an app to the Windows Store or Windows Phone Store.d, Android, Windows Phone, Windows, Mac, Linux. The 'Hour of Code'™ is a nationwide initiative by Computer Science Education Week and Code.org to introduce millions of students to one hour of computer science and computer programming. TouchDevelop is a proud partner of the Hour Of Code. 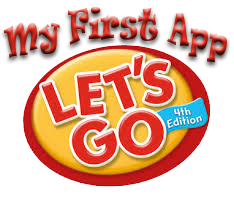 Click the graphic on the right to go to My First App.